The Phantasy Star IV section of Phantasy Star Collection ends on page 37 with a look at the rear cover of the Japanese box of that game. 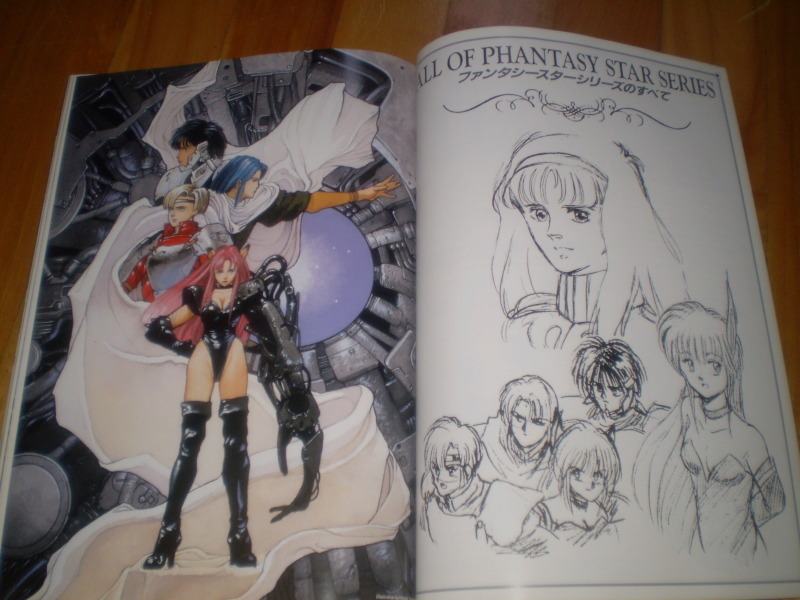 Page 38 begins the "All of Phantasy Star Series" section of the book. This section examines the visual design of Motavians, Dezorians, items, and many monsters from the series. Thanks to xellos667 for providing this photograph!